When the vast majority of people think of communism, they may well think of those countries today which still claim to praise communism. 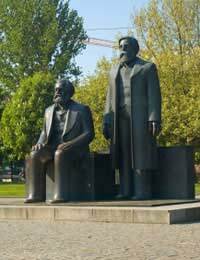 This article will aim to see communism explained as a concept and look at where it is still in action around the world. Communism is basically as far left as it is possible to be in terms of political ideology. The basics behind communism are that there should be social equality and justice. This also means that communists, in theory should be inclusive of all and welcoming of those with differences. This is because, people who want social equality as communists should want it for all people regardless of race, colour, religion, age, sexuality and gender. This is in direct contrast to fascism which falls at the far right of the political spectrum. During the 20th century, communism was a main player in many of the world’s regimes. However, whether or not this was true communism is debateable and most people would argue that it was not. The problem with true communism is that it should have no leaders, but without a leader, society can often break down, with on person or a small group seizing power – and then becoming corrupted. Cuba is often described as the last bastion of communism in the world. To some extent this is true, although its critics would say that the recently resigned Fidel Castro has been a dictator. And of course, like other countries, it does have a leader and a ruling party. But they claim they have no more than the rest of the people in the country. Certainly, there is poverty in Cuba and people have very little freedom of choice over many areas of life. But the country also has an exemplary health and education service which is the envy of many in the West, proving that perhaps some parts of the ideal have been successful. China also describes itself as a Communist state – but for China’s case, this is rapidly changing, at least in the eyes of the rest of the worlds, as the country becomes a capitalist power, and emerges as a major force on the world economy. North Korea is also a communist state, but this secretive country lets on very little to the outside world. Karl Marx invented Marxism which led to the Russian revolution in the early 20th century. Marxism basically believes there needed to be a revolution of the people to overthrow the Government in order to practise communism. This happened in Russia and throughout much of Eastern Europe as the 20th century progressed. By the 1980s, almost the whole of the area was under communist rule. But from the 1988 fall of the Berlin wall things began to change and there were new revolutions in the countries as people sought a better way of life. Now, in most countries which were communist, some of the grey dense tower blocks symbolic of Soviet rule remain, but politics have moved on to the stage where most of these countries are now part of the EU. Whether communism can ever work is highly doubtful. The Russian Revolution is seen as a good example of showing how it does not work. George Orwell penned Animal Farm, based on the Russian Revolution, which shows exactly how the ideals in a revolution can quickly become lost when individuals try to grab power. It is an interesting read in its own right and a must for anyone who wants to learn more about communism.